For centuries, Xi’an, the ancient capital city of 13 dynasties from 1067 BC, has been renowned for its restoration of the Middle Kingdom’s rich cultural heritage. It is the home of the famed terracotta warriors, ancient tombs of emperors long gone, 4,000 ruins and mausoleums and more than 120,000 remnants of art and architecture. It is China’s natural museum of history. 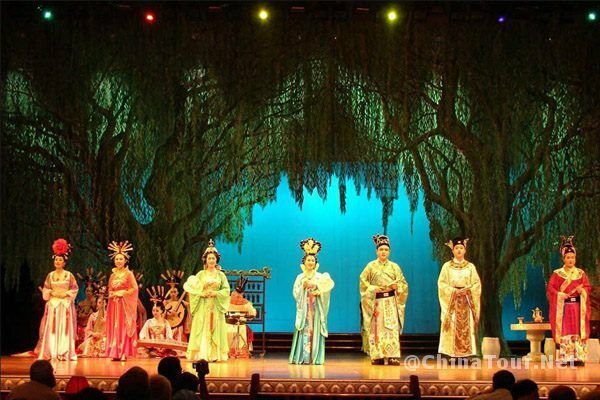 And bringing this all together in the form of modern song and dance is the Tang Dynasty Theater Restaurant, where visitors can sample this cultural experience in an ambience befitting the emperors of Tang (618-907 AD). 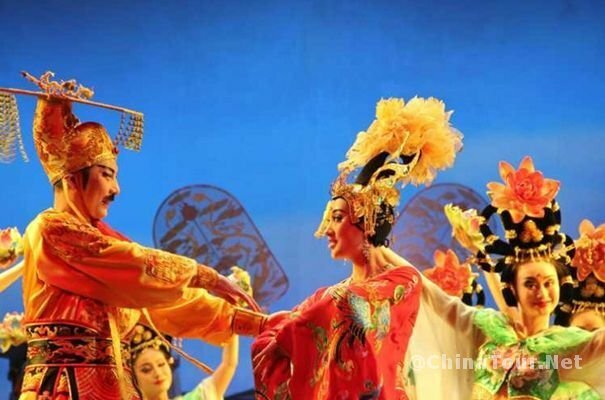 Tang music and dance not only inherit the songs and dance of the preceding dynasties but also assimilate the new and exotic cultures that came along the Silk Road. 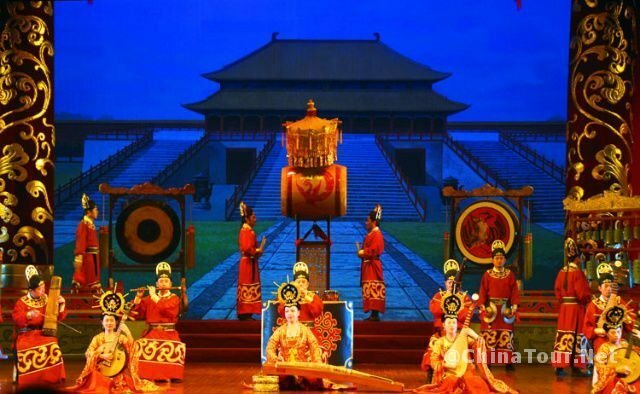 Xi’an was at the crossroads where travelers, merchants and indigenous minority tribes converged to trade within the Tang cultural predominance of this great ancient civilization. 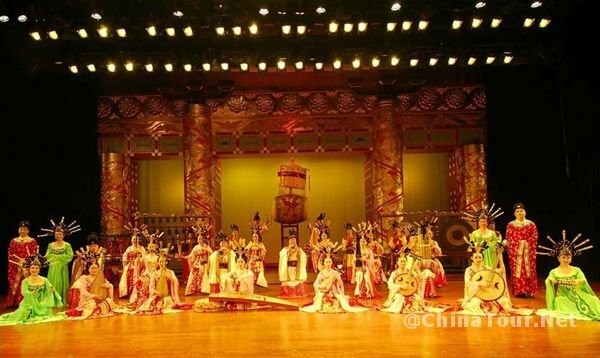 The Tang Dynasty was distinguished as the most progressive and prosperous era in the history of China and its music and dance symbolize the splendor and the glory of the Chinese civilization. 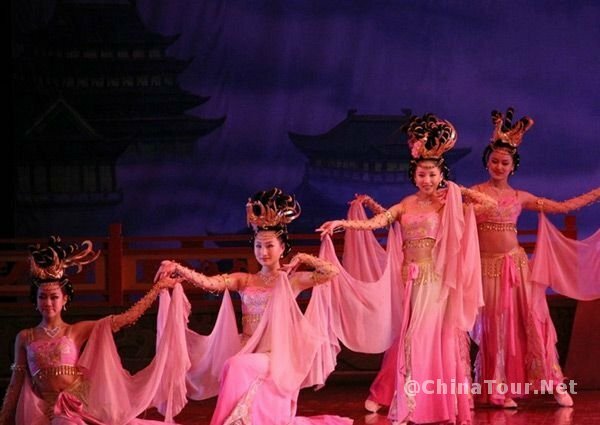 We ChinaTour.Net offer a Tang Dynasty Show tour service. The show usually begins at 20:00 and lasts for about 1 hour. You can also have a Dumpling Dinner before the show. We will pick you up from your hotel and drop you off after the tour. 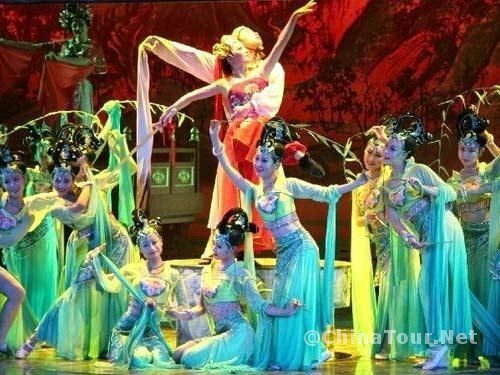 It is recommended that you book a Xi’an day tour and a show in the evening. Contact us.